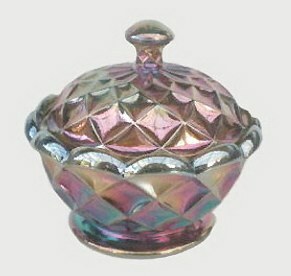 Left - SVEA Rose Bowl in Amethyst - 6 inch. 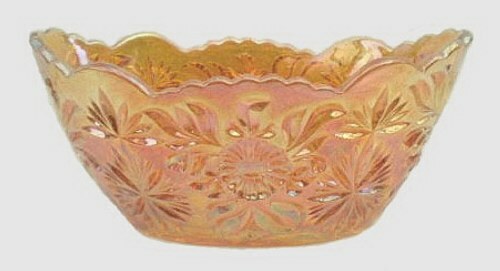 Right - SVEA Bowl in Marigold - 8 inch. Left - SVEA Bonboniere in Blue - 3.5 inches tall. 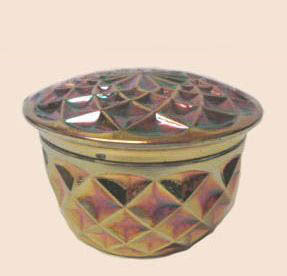 Right - SVEA Powder jar in Blue - 2 inches tall. 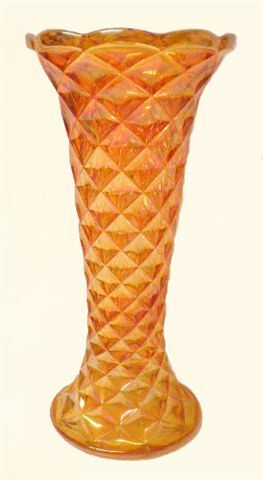 SVEA Vase in Marigold - 9.75 inches tall. 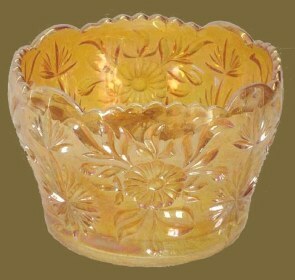 FLORAL SUNBURST 5 inch Bowl in Marigold and Blue. 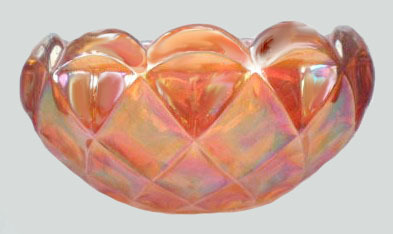 FLORAL SUNBURST - 7 inch oval. 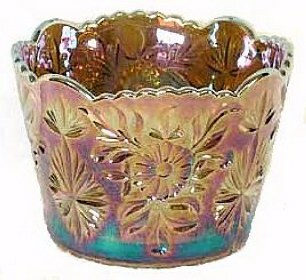 FLORAL SUNBURST Oblong Jardiniere - 6.5 inches wide. 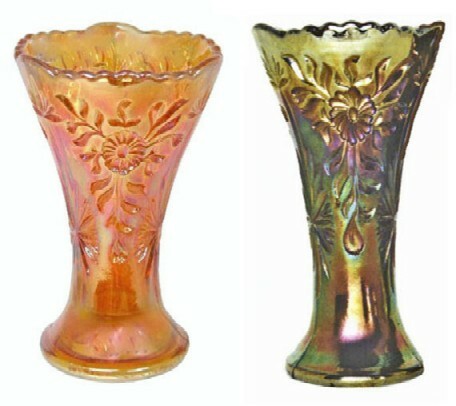 FLORAL SUNBURST Vases - 6.5 inches tall. 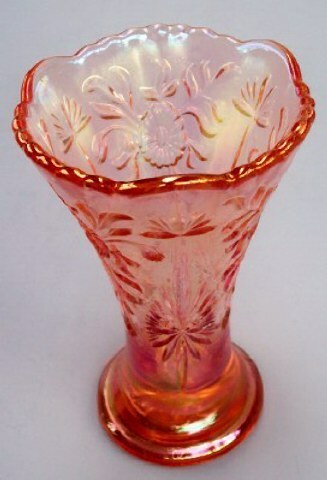 Left - FLORAL SUNBURST, 6.5 in. tall. 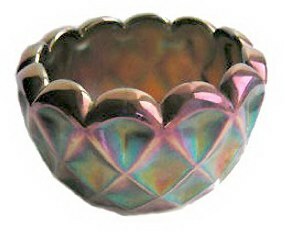 RARE in this ROSA color. 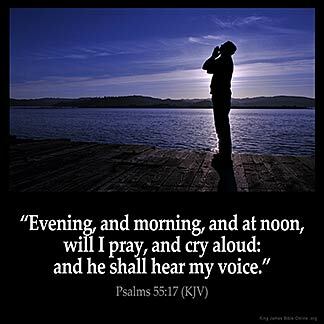 Courtesy Dennis Sutton. 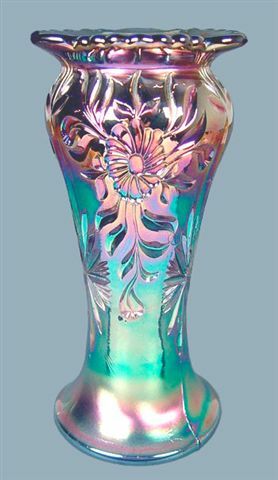 Right - FLORAL SUNBURST in Blue - Vase in the Spittoon shape.